Christopher Coes is the Vice President of Land Use and Development at Smart Growth America. Under his leadership, he oversees Smart Growth America’s real estate programs including LOCUS: Responsible Real Estate Developers and Investors, Form Based Codes Institute and TOD Finance and Advisors, Inc., a for-profit subsidiary of Smart Growth America. 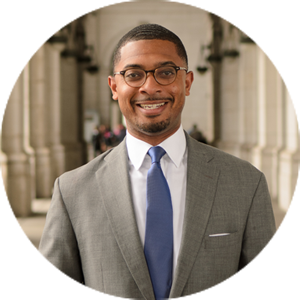 Over the past nine years, Christopher has advised cities on community revitalization and sustainable and equitable economic development, including serving as an advisor to USDOT’s LadderSTEP Pilot Cities (Atlanta and Baton Rouge). In addition, he has facilitated numerous deal-making opportunities that have produced over $1 billion in new smart growth real estate deals. Prior to joining LOCUS, Christopher served as a Consultant for Government Affairs and Campaigns at M+R Strategic Services. As a consultant, Christopher worked with various clients including Transportation for America – a broad, diverse and unprecedented coalition advocating for a national vision for a 21st-century transportation system. For three years, Christopher served as Transportation for America’s Senior Campaign Advisor and Deputy Director. In addition to his work on transportation and real estate issues, Christopher brings over fifteen years of experience in government relations, advocacy and coalition building and program management. He currently serves as an active member of Urban Land Institute (TOD Product Council, the Real Estate Executive Council and serves as Treasurer and the Board of Directors Director of African American Real Estate Professional of DC.